To a great many Western minds, Vietnam is still synonymous with the war that deeply affected in the 1960s and 70s. Thankfully, visitors to this country will find that story is only part of the nation’s long history and is only a small influence on the current consciousness of the people. The Vietnamese people that I met ranged from incredibly friendly, to cool but curious, to desperate to sell their wares to me. When the frantic pace of Vietnam allowed it, the interactions with the people were welcome fun in a country that can sometimes leave you culture shocked. My trip there allowed me to explore the northern half of the country with Hanoi and the Sa Pa area being where I spent the bulk of my time. I did, however, have enough time to vist Ha Long Bay and a couple of the small cities in Central Vietnam: Hue and Hoi An. 02. 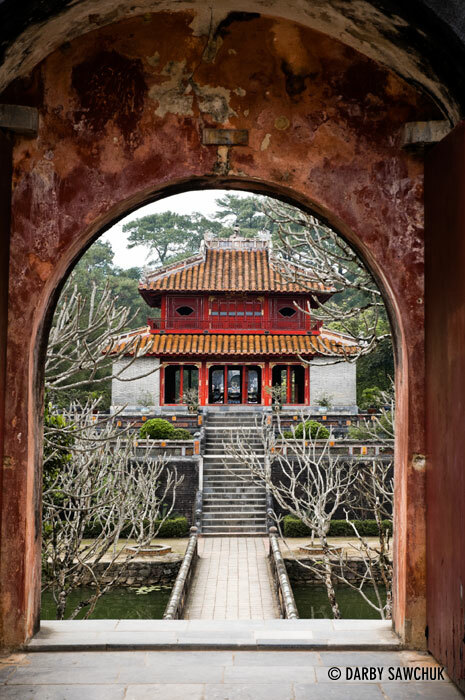 The Trung Dao Bridge and Pavillion at the Minh Mang Tomb near Hue, Vietnam. 03. 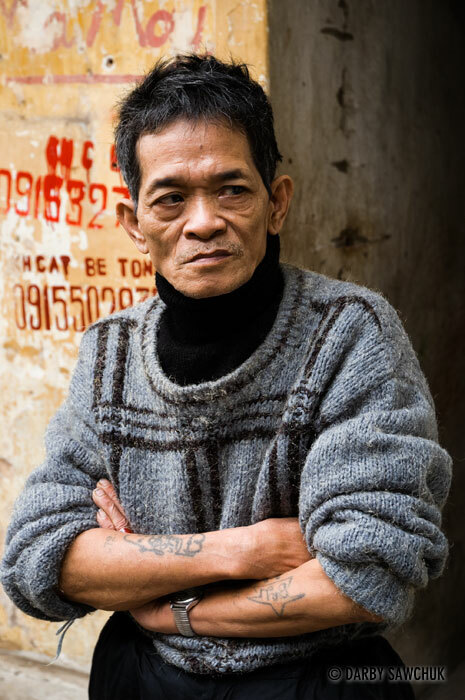 A man leans against a wall in the old quarter of Hanoi. 04. 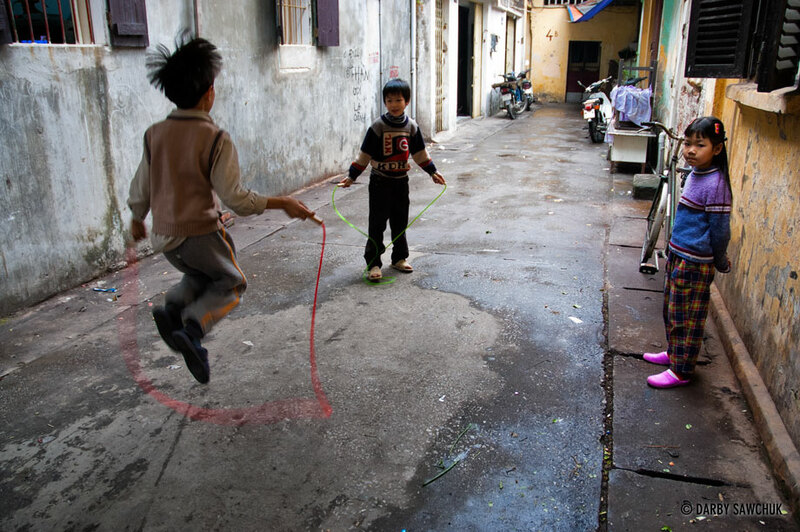 Vietnamese children jump rope and play in an alleyway in the old quarter of Hanoi, Vietnam. 05. 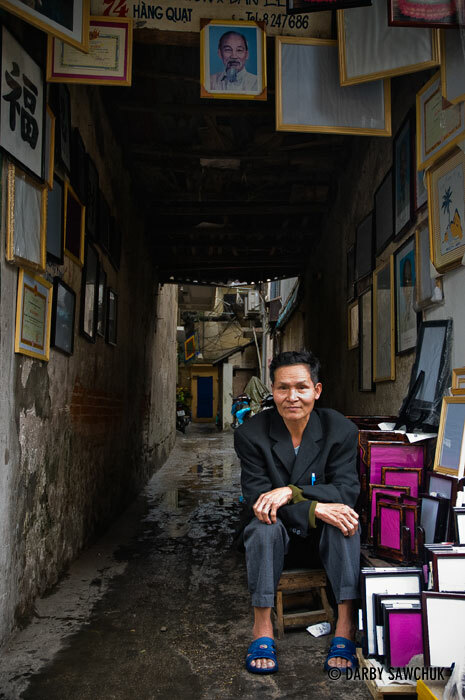 A vendor selling picture frames is one of the many vendors and craftspeople selling their wares out in the open air in Hanoi’s old quarter. 06. 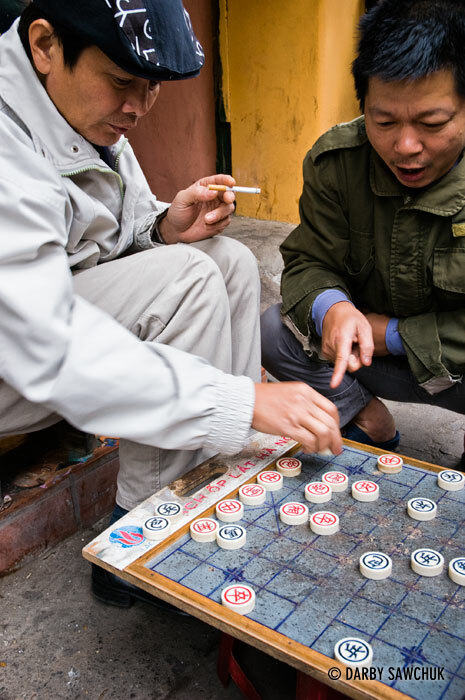 A spectator reacts to a move made in Vietnamese chess played in the streets of the old quarter of Hanoi. 07. 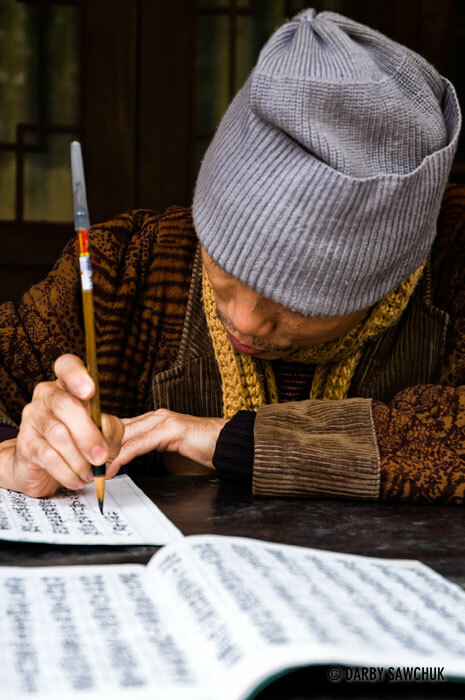 A calligrapher writes script at a temple in Hanoi. 08. 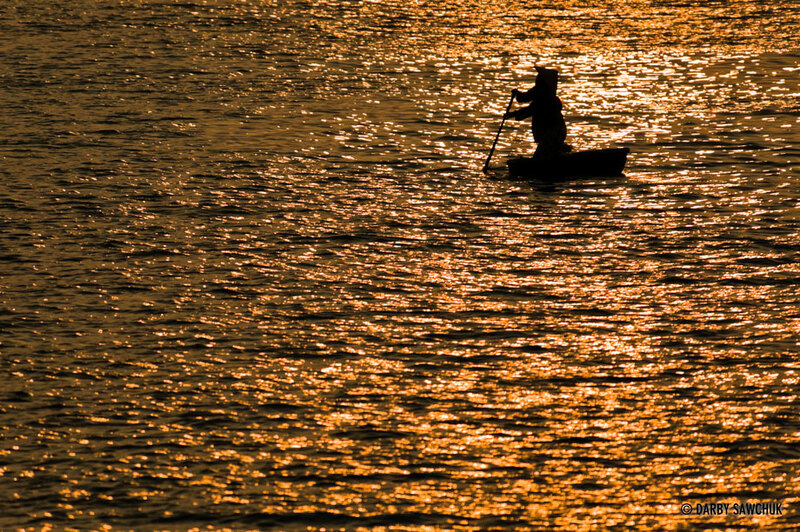 A boatsman at sunset on the Thu Bon River in Hoi An Vietnam. 09. A woman wearing a conical Asian hat poses at the Khai Dinh tomb near Hue, Vietnam. 10. 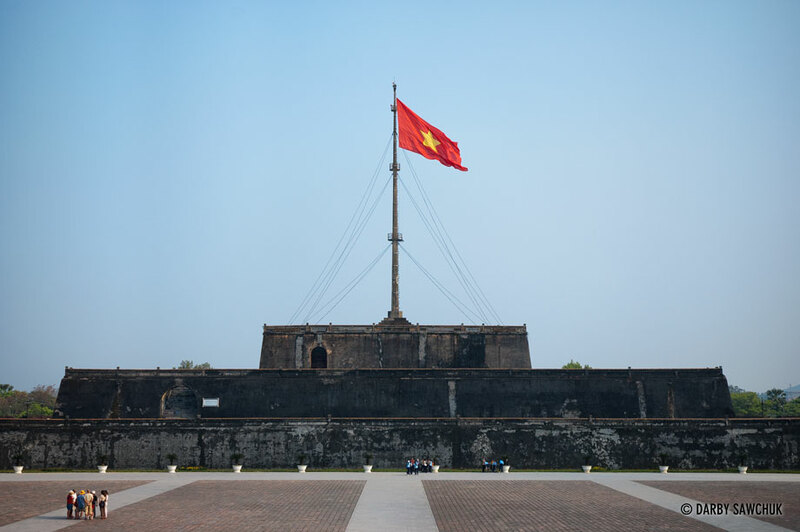 A Vietnamese flag blows in the wind above the flag tower of the Imperial City at Hue, Vietnam. 11. An elephant drinks water inside the Imperial City in Hue, Vietnam. 12. 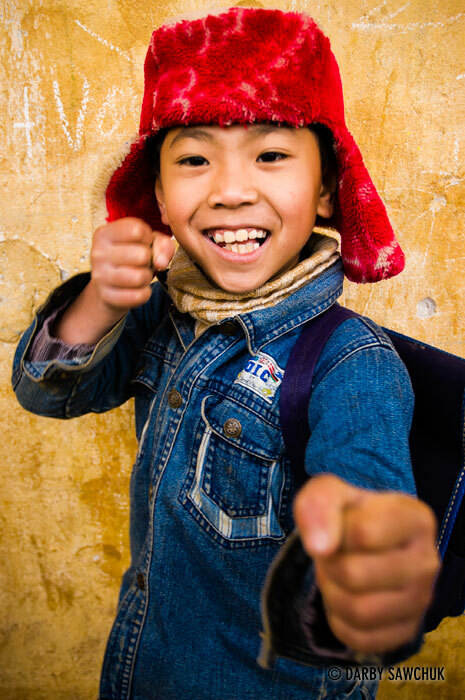 A boy poses for a photo at his school in the hills near Sapa, Vietnam. 13. 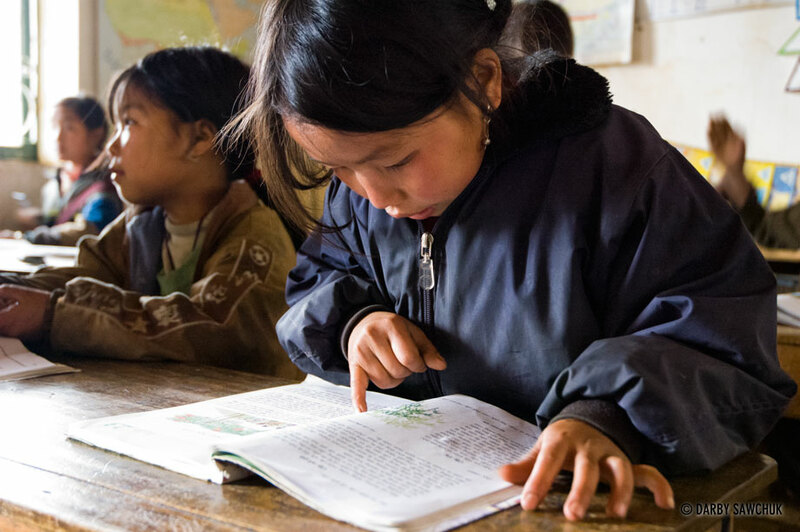 A girl reads her textbook in a school classroom in Sapa, Vietnam. 14. 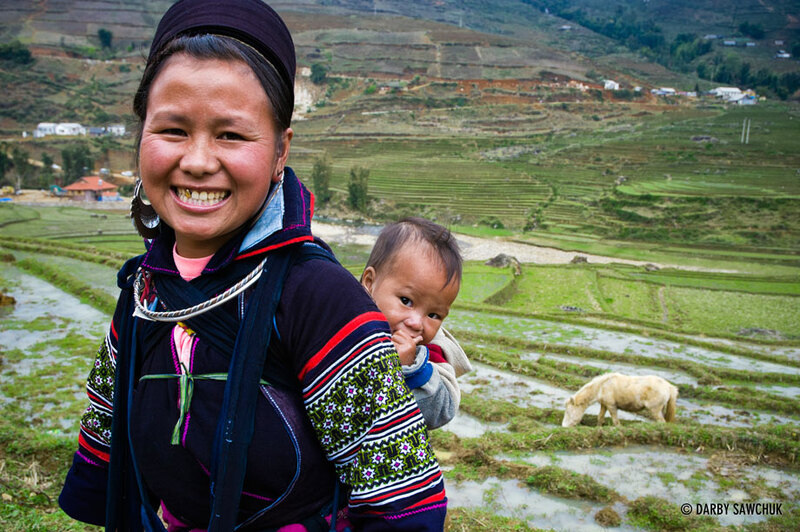 A black Hmong craftswoman carries a baby on her back in the terraced rice fields of the hills of Sa Pa, Vietnam. 15. 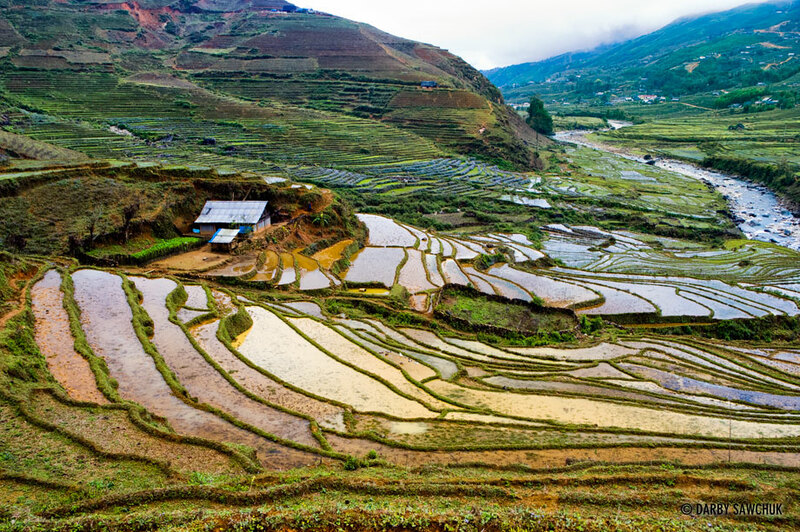 The terraced rice fields of the hills of Sa Pa, Vietnam. 16. 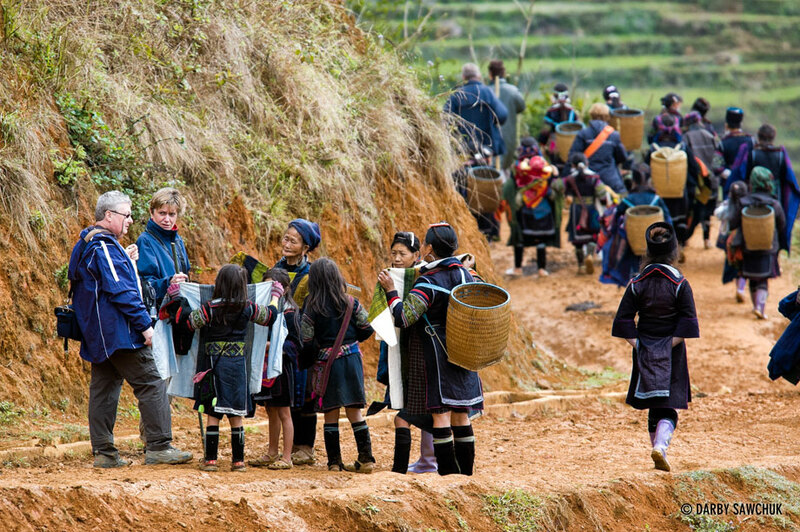 Hmong craftswomen try to sell their wares to tourists visiting Sa Pa in Northern Vietnam. 17. 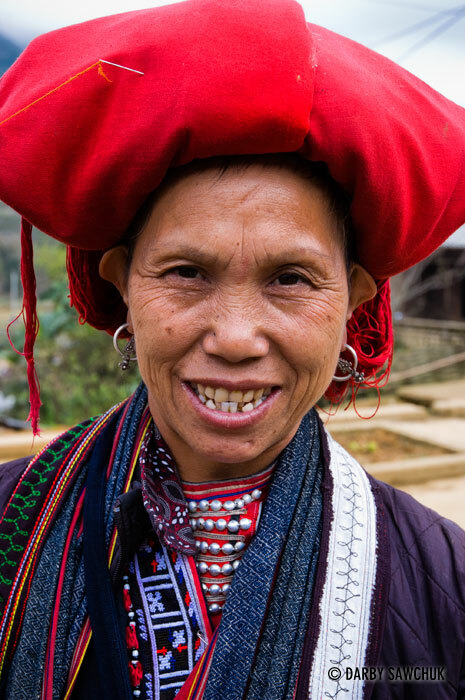 Portrait of a Red Hmong woman in Sa Pa Vietnam. 18. 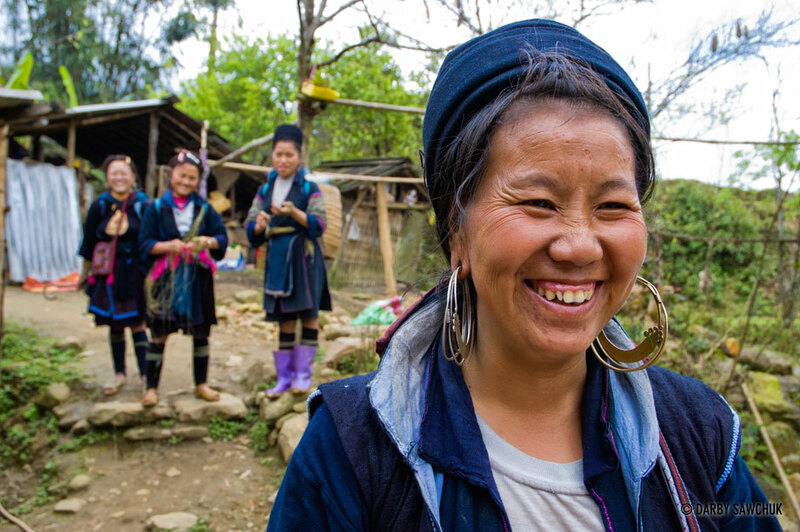 Black Hmong women laugh in Sa Pa Vietnam. 19. 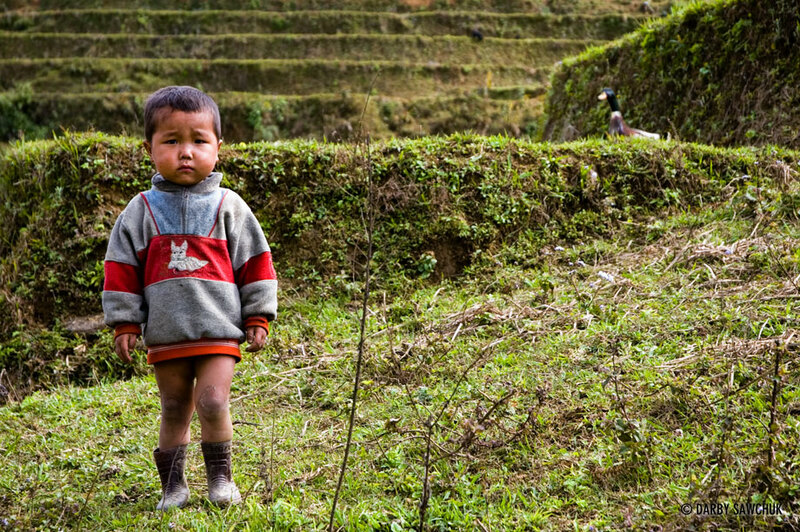 A child stands in the rice-terraced hills of Sa Pa in Northern Vietnam. 20. 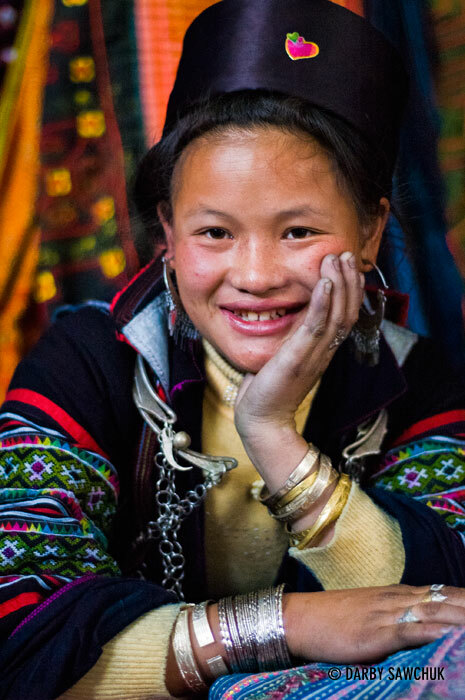 A Black Hmong girl waits with her crafts in the market of Sa Pa, Vietnam. 21. 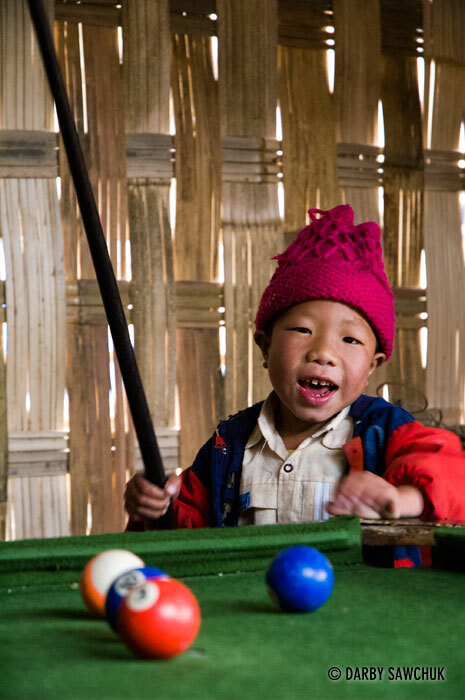 A young boy plays pool in a hut in the village of Ban Ho near the area of Sapa, Vietnam. 22. 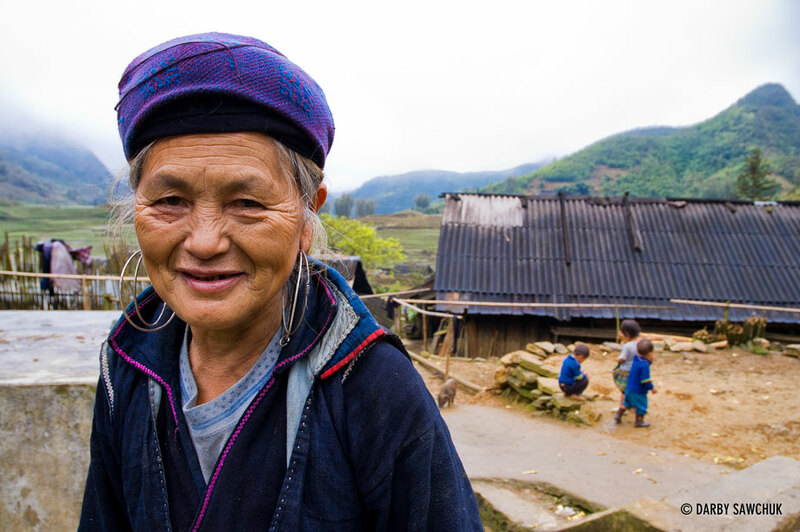 A Black Hmong woman in a tiny village near Sa Pa, Vietnam. 23. 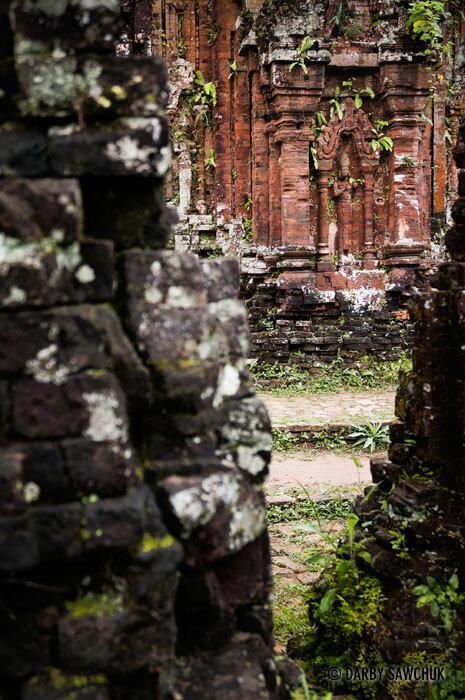 The partially-ruined hindu temple of My Son in central Vietnam. Keywords: photos of vietnam, images of vietnam, pictures of vietnam, northern vietnam, landscape photography, travel photography, portrait photography, fine art prints, stock photography.